The Pre-Selections of EYP Cyprus 2018 will take place between 16th-19th of March 2017 in Nicosia, Cyprus. The 3rd Training Weekend of EYP Cyprus took place in Kampia village, Cyprus from 9th to 10th September. Training modules on Chairing were held by experienced Cypriot EYPers. The 11th National Session of EYP Cyprus will take place between 23 - 26 August 2017, in Nicosia, under the theme: "Innovation, Collaboration, Entrepreneurship". The Pre-Selections of EYP Cyprus 2017 will take place on the 18th-19th of March 2017 in Limassol, Cyprus. The 2nd Training Weekend of EYP Cyprus will take place between 4th - 6th of November 2016, in Tochni Village, Larnaka. The Training Weekend will consist of modules on Chairing and Media Teams by certified trainers of the European Youth Parliament. The 3rd Youth Summit of EYP Cyprus will take place between 29th - 31st of July 2016 and will be presided by Ms. Charlotta Lahnalahti (FI). This year, the 3rd Youth Summit will be welcoming 10 International as well as 50 Cypriot delegates between the ages of 18-23 in the beautiful city of Nicosia. The Summit will last 4 days (the first day for CJO training) and will host 40 officials from various European countries. The call for Vice Presidents, Chairpersons, Editors and Jury Members has been launched. Deadline: 8th of May, 23:59 CET. The 10th National Session of EYP Cyprus will take place between 24-27 August 2016 under the theme "Solidarity, Equality, Unity: Shaping Europe as one" presided by the very Annmarie Kiiskinen (FI). 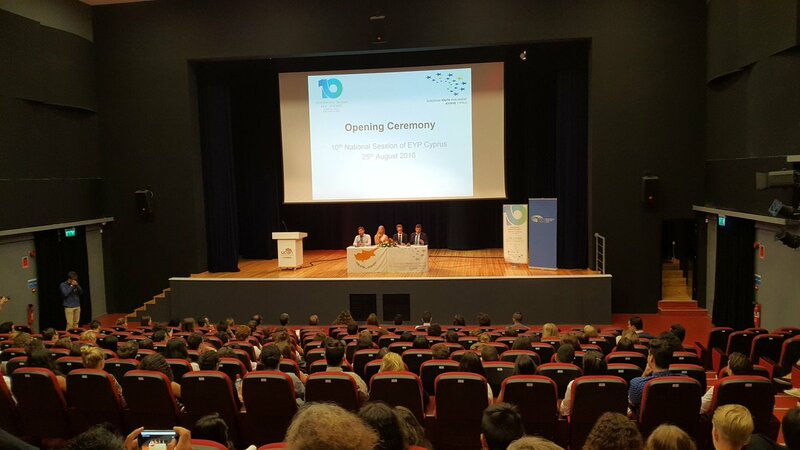 This year, the 10th National Session of EYP Cyprus marks a milestone for our organisation. The 3rd Youth Summit of EYP Cyprus will take place on 29-31 of July 2016 in Nicosia, Cyprus. This EYP event targets individuals aged 18-23 and this year aims to invite International delegates as well!